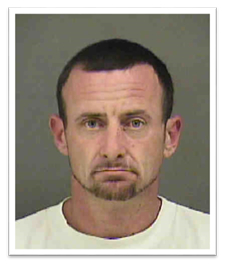 The Huntersville Police Department is requesting the public’s assistance in locating William “Billy” Byrd Thompson (DOB: 01/16/1980). Mr. Thompson is wanted in reference to a First Degree Burglary that occurred on Tuesday, January 3, 2017 in Huntersville, NC. North Mecklenburg Crime Stoppers is offering a reward of up to $1,000. Mr. Thompson is homeless, however, frequently stays in the Huntington Green area of Huntersville, NC. On Wednesday January 4, 2017, the Criminal Investigations Division of the Huntersville Police Department obtained 2 warrants on William Byrd Thompson. Mr. Thompson has outstanding warrants for First Degree Burglary and Second Degree Sexual Offense. Every person who shall conceal, hide, harbor, feed, clothe, or offer aid and comfort to William Byrd Thompson, in violation of NCGS § 14-259 “Harboring or Aiding Certain Persons” is subject to arrest for a Class I Felony. Anyone with information on the whereabouts of William Byrd Thompson should contact Lieutenant Andrew Dempski of the Huntersville Police Department at 704-464-5400 or North Mecklenburg Crime Stoppers at 704-896-7867.